Despicable Me 3 (film, 2017). A 2017 American 3D computer-animated comedy film with "PG" rating by Universal Pictures. Directed by Pierre Coffin, Kyle Balda, Eric Guillon. Official Trailer. Despicable Me 3 is a 2017 American 3D computer-animated comedy film directed by Pierre Coffin, Kyle Balda and Eric Guillon. 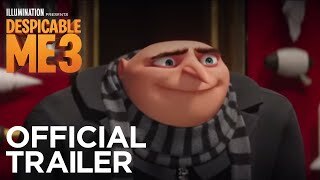 Despicable Me 3 - In Theaters June 30 - Official Trailer #3 (HD). Former villain Gru is now an agent for the Anti-Villain League (AVL). He and his partner (and now wife) Lucy are sent to foil the plans of Balthazar Bratt, a former child actor from the 1980s who has turned evil. Gru manages to stop Bratt from stealing the Dumont Diamond, a giant pink diamond, but is unable to capture him. As a result of constantly failing to capture Bratt, Gru and Lucy are dismissed from the AVL by its unreasonable new director Valerie Da Vinci, following the retirement of the AVL's former director, Silas Ramsbottom. When Gru and Lucy return home, Gru and Lucy reluctantly tell their kids, Margo, Edith, and Agnes, of their dismissal, but assure them they will find new jobs. Most of Gru's Minions leave him when he refuses to return to villainy despite losing his job and having Dr. Nefario frozen in carbonite, with Dave and Jerry staying due to not knowing. Meanwhile, Lucy struggles to adapt to her new role as the children's new mom. 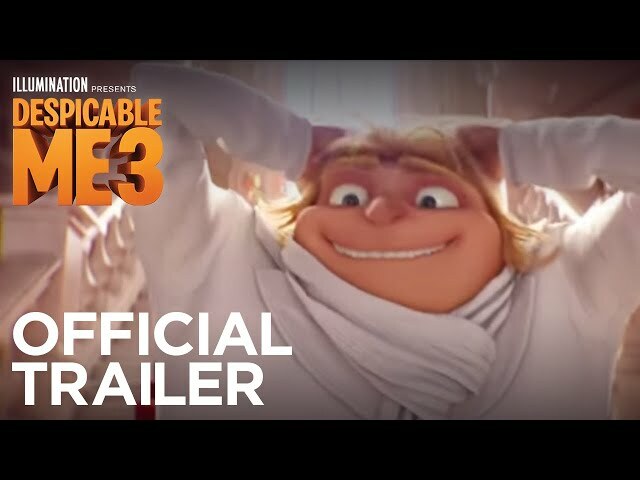 The next morning, when a butler named Fritz arrives at the Gru house, Gru discovers that he has a twin brother named Dru, who lives in a distant country named Freedonia, who longs to meet him. 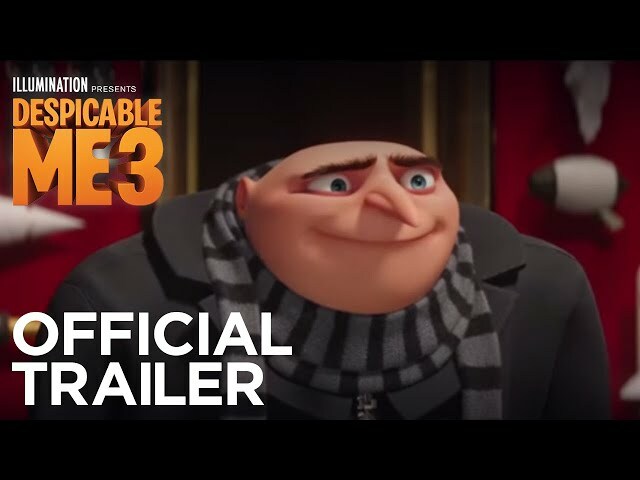 Shocked to learn he has a twin, Gru confronts his mother, who reveals that when she and her husband divorced, they agreed to keep one child each. The family decides to travel to meet Dru, and they are surprised at his immense wealth, the size of the mansion, which Fritz attributes to their pig farm business. Meanwhile, the Minions are arrested for trespassing at a talent show set. Bratt manages to steal the diamond again, intending to use it to power a giant robot and destroy Hollywood as revenge for the cancellation of his show. 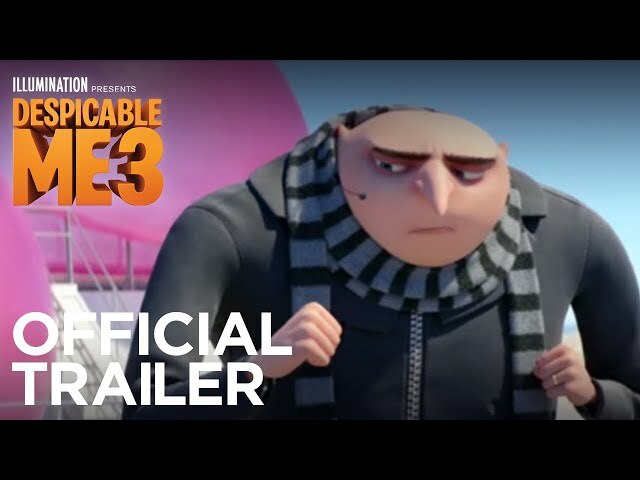 The film Despicable Me 3 was scheduled to be released by Universal Pictures on June 14, 2017 (Annecy), on June 30, 2017 (United States), on July 6, 2017 (Germany) and on August 25, 2017 (Turkey). The duration of the film is 89 minutes. With a budget of $80 million, the film grossed over $1.035 billion. Despicable Me 3 got average rating from critics. But the audience likes the film. Audiences polled by CinemaScore gave the film an average grade of "A-" on a scale ranging from A+ to F.